This is story about a young couple. I heard about them from a friend in Peloponnesus.They fell in love at Kithira island while ago. It was May, with a full moon shining over the palm trees in Kapsali village. So they decided to go on their summer holidays there, in the very island of Kithira. The boy was a keen spearfisherman and brought all the gear there. He was very much in love with her, to make deep dives and dangerous attempts. The girl had no idea of such things but she wanted to learn more about the underwater world of her beloved boyfriend. They were staying in the room listening to music and taking breakfast and then they usually went out for a car ride around Kithira island, ending up in a cool coffee shop, with kytherian sweets. Or they went at the beach. In the afternoons they were reading in front the smooth island light. Nothing special. But everything was great. 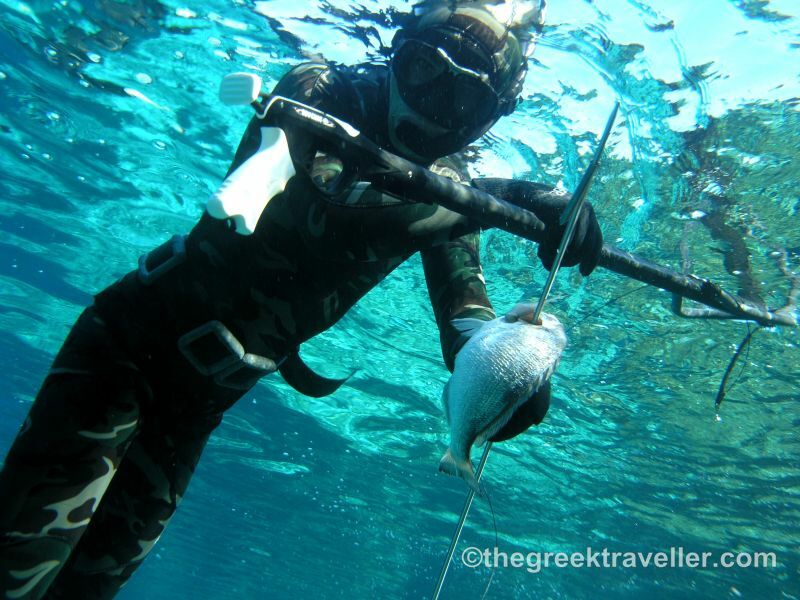 The boy certainly had diving and spearfishing at the back of his head, he wanted to catch some fish for their dinner. But he did not know when to go, he did not want to leave her alone , he did not want to hurt the girl , he was very much in love. Naturally he was confused. 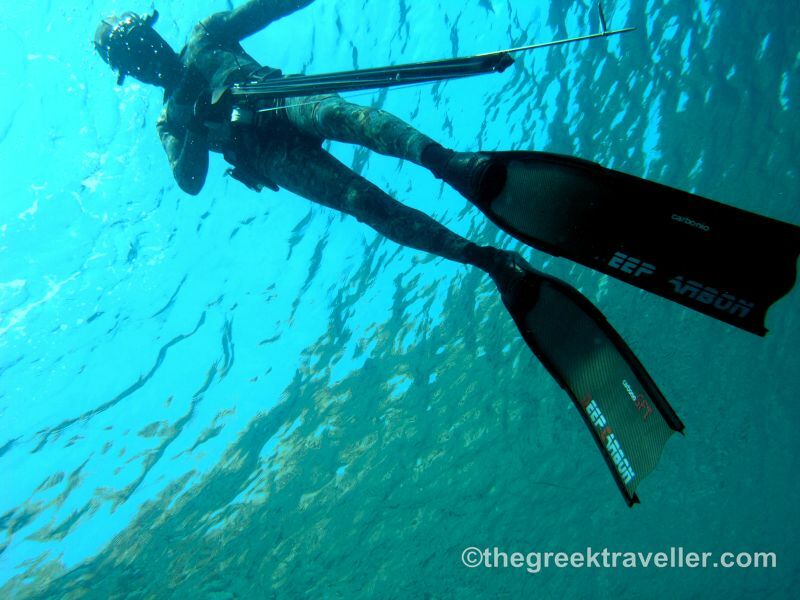 He dived twice in two beaches that they had gone for a swim but – unsurprisingly – fish do not exist in sandy beaches. 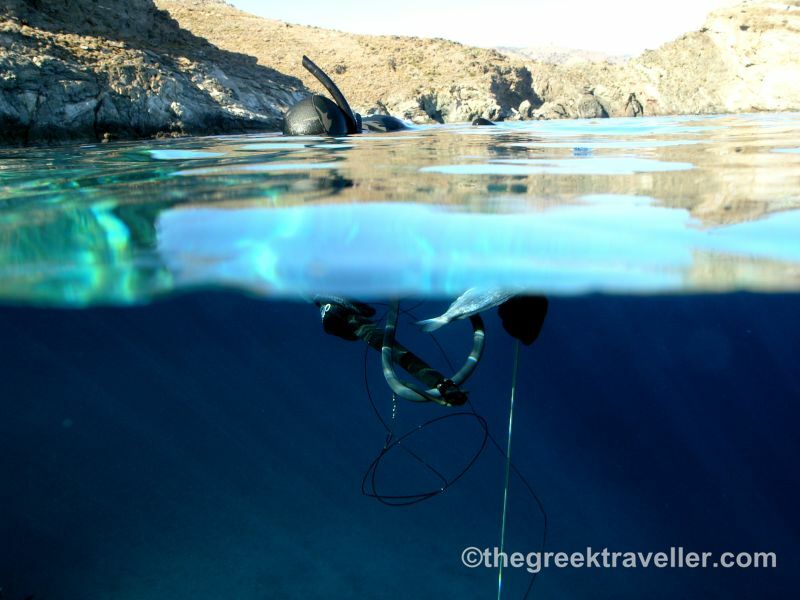 Kithira is also a deep place generally and during August things are even tougher; fish go deep and usually they are too frightened. The young couple were having a good time but suddenly a shadow came between them. 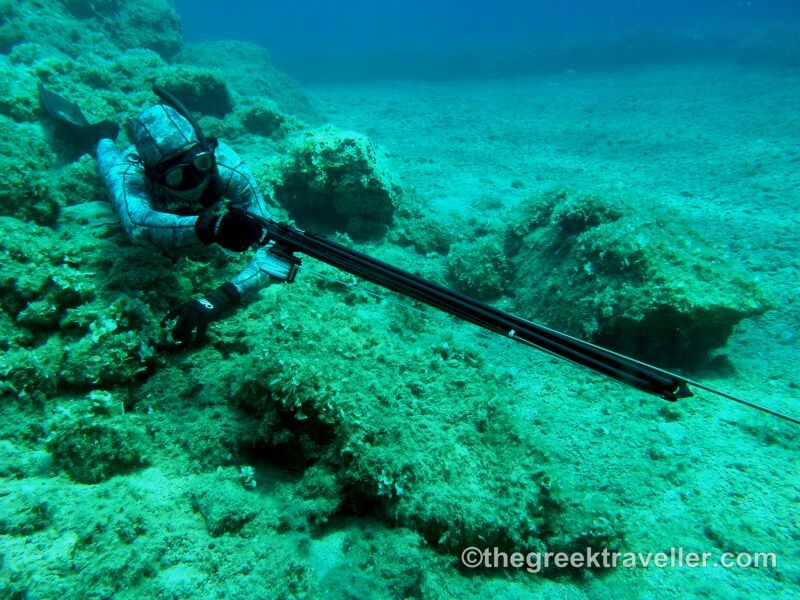 Our friend did not know what he wanted, who he was, he missed spearfishing . The girl melted from sadness seeing him like that. One afternoon they were lying in their room. The boy was silent. They went for a ride to see a new beach. Distance had come between them. All the shiny days were dazzled. The next day they followed the road south, straight to Vroulea beach. Late in the afternoon the sun had softened but it was no longer nice for swimming. They sat in the sand in silence. A fisherman got out of his fishing boat . The boy started the conversation with him, for the old days, the big fishes, the big catch. The couple left at dusk. The smell of thyme was everywhere. They slept and early in the morning they were in Vroulea . The boy got ready to dive. His love sat beneath the umbrella in her red bikini wearing a pair of classy sunglasses : she was beautiful . He thought of her as the crystals of his mask sank in the water. At first he saw the golden groupers at the drop off. But they left for the very deep waters. He shot a sheepshead (sort of sea bream), but missed. He was furious . Nothing was going well. He saw her on the beach, her wet black hair was falling on her shoulders. He laughed with joy. And she did. The rest of the whole day was a hug. At night, lovely inside their white summer clothes, they were waiting for their fish to be baked at the tavern named “Magos”, in the cool breeze of the northern wind. That dinner was a huge celebration. She picked for her the best amberjack fillets, dipped them in lemon and served her. 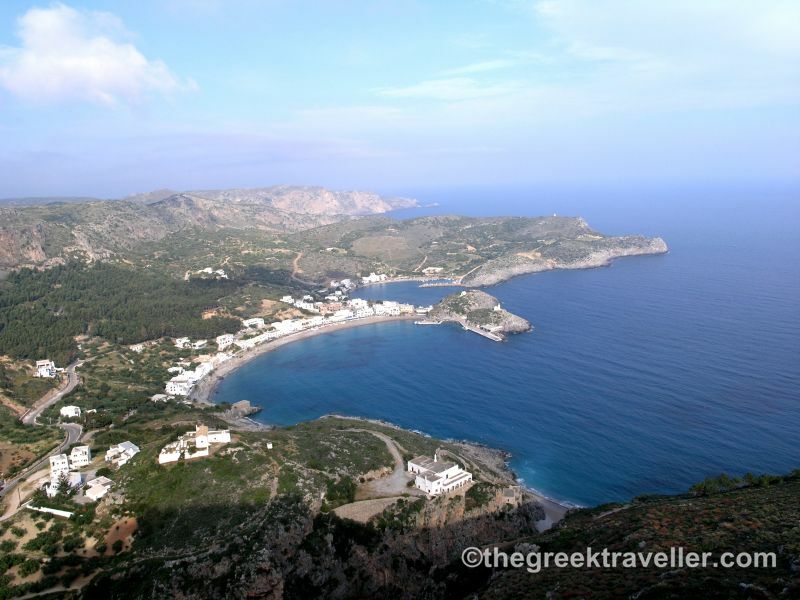 Kithira island is located at the south of the Peloponnesus. The fastest way to go there is by airplane from Athens airport. 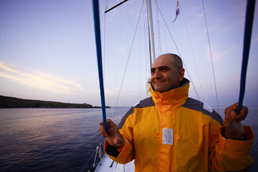 You can also drive crossing Peloponnesus to Neapolis Laconia and then take the ferry boat.